Leaks related to the Xiaomi Mi Mix 3 are picking up the pace, allowing for more certainty related to the device’s features. The big question surrounding the Mix 3 is that will Xiaomi follow other Chinese OEMs with the smartphone? After all, Oppo and Vivo have somewhat shaken things up in the Chinese smartphone market with their pop up camera based smartphones. Right now, sources are eager that we believe so, especially as photoshopped images of the Xiaomi Mi Mix 3 with the feature are quite popular these days. Today, we’ve got yet another live image leak for the smartphone that displays a thin bottom bezels. Subsequently, this points towards the inevitable. Take a look below for more details. We’ve got yet another alleged live image of the Xiaomi Mi Mix 3 today which points toward a pop-up camera sensor on the device. Of course, we’re just speculating that the Mix 3 will come bearing the appendage, as there’s only one leaked teaser so far that displays the feature for the upcoming smartphone. 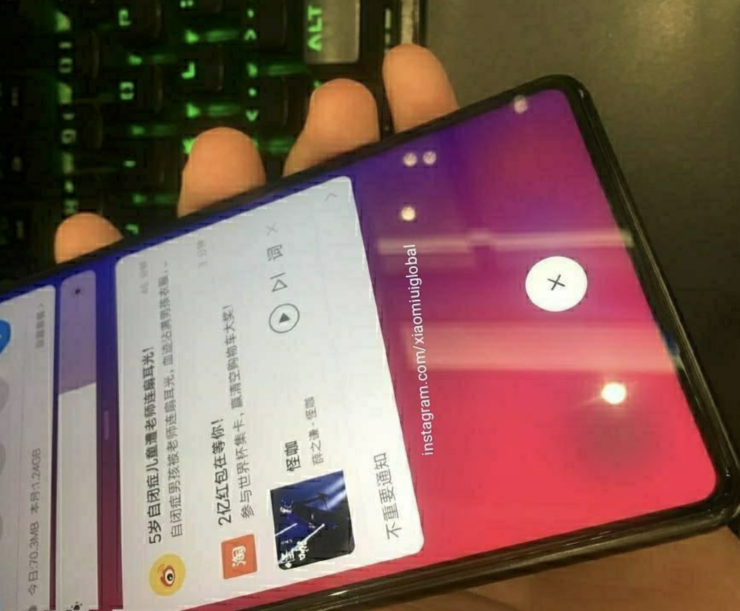 Apart from this leak, courtesy of tipster Ice Universe, all other leaks (authentic and otherwise) for the Mix 3 simply display the device with no top or bottom bezels, thereby leaving no space for a front camera sensor on the device. This, given the introduction of pop-up cameras by other manufacturers naturally leads to the conclusion that Xiaomi might also debut such a feature on the smartphone that’s expected to witness a refresh later this year. 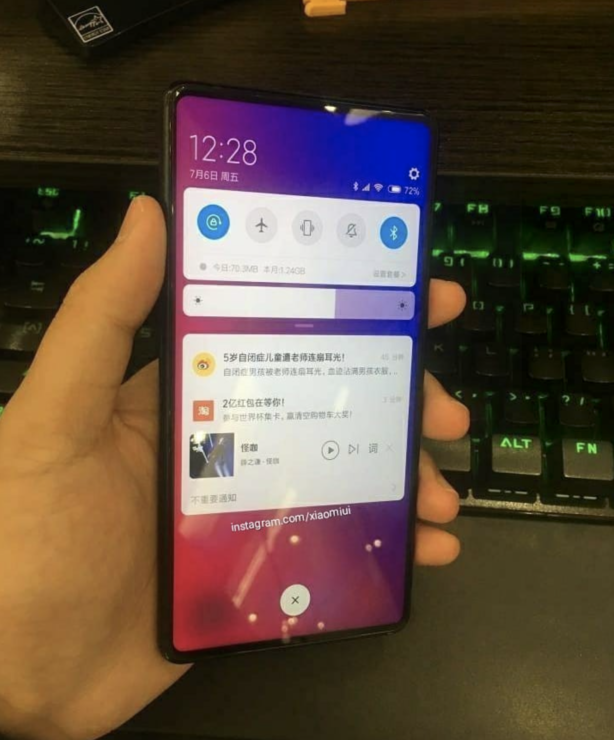 Today’s purported image for the Xiaomi Mix 3 resembles an earlier leak that turned out to be fake. Looks like some folks are really interested in gathering market reaction to a pop-up camera setup. Nevertheless, we’ve got some more alleged images that are most likely fake as well. Still, they provide for some good claim chowder and demonstrate how the Mi Mix lineup’s round corners will appear on a bezel-free display. The verdict is still out on whether Xiaomi will launch the Mix 3 with a pop-up camera setup. We’d advise you to take this and other ‘live’ images with hefty amounts of salt until more concrete sources provide more details for the smartphone. Thoughts? Let us know what you think in the comments section below and stay tuned. We’ll keep you updated on the latest.